Home General Topics Ultimate $10,000 PC Build? This PC build list is for imaginary extravagance rather than practical application. Building this list in 2018 would cost an insane amount of money. 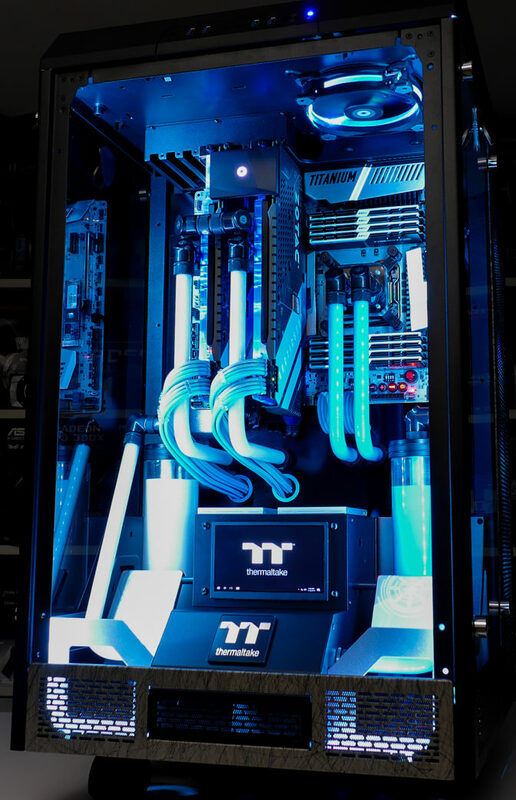 We can only hope that in 5 years from now, hardware will advance and a build like this would be available to many people. The below list would the ultimate rig the most intense gaming and creative tasks. The total cost of this build list is ~$9600. Wow. This build has a CPU with 16 overclocked cores (32 threads), 128 GB of fast RAM, 4 TB of some of the fastest SSD storage available, 30 TB of hard drive storage, quality sound, reliable wifi, premium cooling (which can be controlled with a touch screen for either max performance or total silence). 4K video editing and workstation work would be a breeze. This build would definitely handle 144 Hz gaming at high resolutions. Every task between moving/installing files to browsing the web would be handled in a snap. This build would also be large and generate a lot of heat under loads; Likely, PC’s with specs like this in the future will be more minimalist.